"Cooperation must be based on humor, sarcastic comments, and respect to others. This way we got over many things together, and I think we are stronger than ever. After all these are games, made for fun. Being serious too much does not fit into this. Many people and modders don't have this. They are simply too serious, and prefer to be loners. They want praise for their work above all and don't listen to anything but themselves while keeping their work together within their minds in closed Ivory Towers. That is never good, and this way it cannot work. It is a waste of otherwise great talent and skills, which could be used for something much greater. Be open, positive, and search for similarly minded people, then you can start something great." Many, many of us fellow Total War gamers have played a Radious mod have we not? Many of us now will not play a Total War game without it installed. Also, many of us, when downloading other mods need to know if that mod we so need will work with Radious! 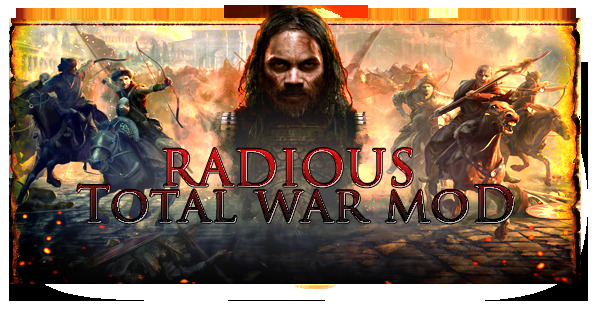 Also, if you shouted for joy when Radious came out with Radious Total War Mod for Attila, and lastly if you have wanted to know more about Radious and the heart of his mods and team then look no further! If you could go back in time to any era what general or leader would you visit? Hmm, this is a very interesting question. There are so many unique and interesting figures in human history and past, that its really hard to pick up one. I would definitely want to meet Gaius Julis Caesar. Ancient Rome is one of the most fascinating eras, and Rome itself was some extraordinary. Gaius was a genius in many aspects except one thing which costed his life – underestimated politics and hunger for power of his rivals. As mentioned above it would be most probably ancient Rome. It was an era of really massive differences between cultures, nations and empires. Each was unique and Rome had its time when it stood above all of them. They were more advanced and progressive then many, many nations till deep medieval and sadly more then some till today. And of course Roman military system is something what must fascinate every man. Army organisation, tactics, machines, equipment and way of fighting and leading wars was something very unique. Oh that is very difficult to say, there are so many. I am a fan of many genres, and I really enjoy good scifi (new Star Wars soon hype hype), same as fantasy (LoTR, GoT), comedy, action, war or historical types. I guess I only missed red library. I would definitely like to see more historical movies. Why did you choose Radious for name? That nickname was given to me a very long time ago. It actually comes from very famous Czech book – R.U.R. from Karel Čapek. This is the book that gave world word Robot! One of the robots in the book is actually called Radious. Somehow I got connected to that name and I have used it well over 15 or more years. It is my one and only nickname, and I never expected it would be known by so many people one day. Long...I started in Rome 1: Total War era, shortly after Medieval 2. These games were totally different to work on than today's Warscape engine based ones. I was not a publicly known person. I rather did small tweaks here and there pretty much for myself. Empire and Napoleon were games where I first published things to the public, and from the success of those made me want to work harder. I met great friends, and we built an excellent team. From our cooperation, the results are visible in last 3 Total War Games – Shogun 2, Rome 2 and Attila. We have created the largest and most popular and subscribed mods for these games. Who would ever say that our Rome 2 work would get over 1 million downloads within 1 year? The Workshop platform is also very handy for us for publishing things and holding the flag of most subscribed stuff in there. It's very nice to see that so many people enjoy our work. TW games have so many excellent mods and super talented modders. Passion, which some people have for this is really great. It's a pleasure to see new things being created, new ideas presented, and of course the best is to try them! In past TW games I really enjoyed stuff like Third Age, SS, or Total Realism. Those are just examples how modding can become huge! But in last 2-3 years, I do not have a lot of free time to test every new content created. Hell, I don't even have much time to play games at all. So, all time which is left for this i place with my team into our own work. I think we can all say we are proud on what we created, and we are trying the best we can to improve and enhance our stuff. Just wait for the new update for Attila which is very close to be released! Fully focused on Attila: TW. Our 2 largest mods there are currently all we can handle since there are many things to do and to create. Our Rome 2 stuff was also recently updated and we have plans to give it more attention once Attila work will settle bit more. What is your opinion of Total War Rome II and Attila vanilla when they came out and then after all the patches, and your favorite of all the DLC’s? Both games are currently in great condition. Of course as every game in the world there are some issues and some always will be. If it would be perfect you would never have reason to get a new one right? But to be serious, the launch of the Rome 2 was not good. It was actually bad, very bad, and it took several months to fix all the stuff. I think it is quite obvious that release was pushed by publisher too early. The game needed several more months to get into proper form. Attila on other hand is pretty much crystal clear. There were no really big issues at release and all is working very well since launch. Pretty much like Empire/Napoleon did in the past. About the DLCs, hard to tell, I am not really a big fan of tiny new campaign DLCs. I prefer more content for GC or whole new GC map. But everything what adds more stuff, is great for those who like and enjoy the game. Having played some of your mods starting with Rome II, I can say it made things more enjoyable for me, what was the main thing you wanted to accomplish with your mods? Well vision at start was simple. I do what I like, the way I like, and not what others tell me to do or what they like. This pretty much continues till today. This point of view is shared with my friends and team. We do things the way we like, and not just because something is cool so we must do it as the rest. I think this is what makes us unique from many others and when I look at the numbers. It seems like you are not the only one who really enjoys our work. Our main goal was always to create something what is fun to play. Something that offers players more choices, more options and ways to play, and a much larger variety in factions and their rosters. I have created completely new battle balance for all the stuff we do, and the same for many, many AI changes and overall gameplay mechanics. The patterns of our work are clearly visible in all our mods, so once you play one Radious mod, you will know the rest, except with every new TW we go bigger and deeper! Of course sometimes the pressure from public is very large, you know hundreds of thousands people and everyone would like to tell us how we should do this or that. We listen, we think about it, but we also decide. 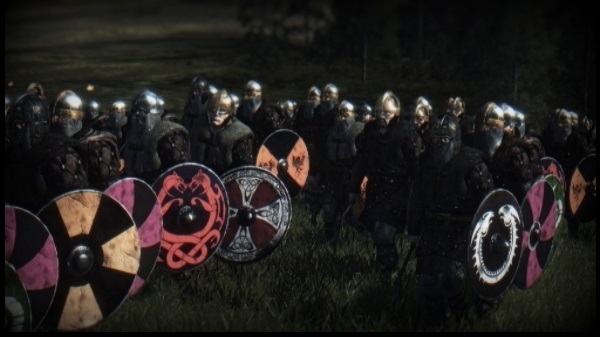 The one thing I have noticed since Rome II is that every unit mod I load up (I am a new unit addict) is that hordes of people state, “…is this Radious compatible?” This became almost an anthem for every mod. That has to validate your mods in your mind does it not? Yes! It does and not just to me but to my great friends i have to mention here – DramaBelli and Swiss Halberdier. These guys are not just excellent modders, team members, but mainly great friends and awesome people. Our unit collection is something totally unique, we have largest unit packs in Shogun 2, Rome 2 and Attila. Together in all 3 games its over 1500 brand new units, completely unique, various per factions, and cultures. We enhanced the rosters this way of every single faction in Rome 2 and Attila. Options on how to play these games increased rapidly due totally new, unique, and massive variety we are offering. And as i said, there are thousands of other great talented people and their work is sometimes stunning. It is a real pleasure to see when people automatically making their work compatible and fully adapted to "Radious“ style. What is your favorite part(s) Radious Total War Attila? I would say it is a thing that so far all works as we want. It is being constantly updated, and we are adding new content as we speak now! The team is working very well, and we are well organised and this way everything goes much faster and smoother then in previous TW games. Our Attila work is already so big and rich that I cant pick a part of it. All pieces fits together, and they are perfect that way. I love the fact that you are working with AUM mods since those mods have always brought fresh historical units to the field. I also like your willingness to work with others. Obviously this is important to you, but any advice you would like to share to the modders who might be hesitant to work with others? AUM is made by 1 person I mentioned earlier – Swiss Halberdier. He is one of the few people who actually brought me into all this, taught me so many things, and I could grow mostly because of him. I think we fit into each other, same as we do with our Italian friend DramaBelli. To have a great team, you must be more than a team. Since it can only work well if you are on the same line, share the passion and mainly its must be fun and relaxing for everyone. No evil pressure! Cooperation must be based on humor, sarcastic comments, and respect to others. This way we got over many things together, and I think we are stronger than ever. After all these are games, made for fun. Being serious too much does not fit into this. Many people and modders don't have this. They are simply too serious, and prefer to be loners. They want praise for their work above all and don't listen to anything but themselves while keeping their work together within their minds in closed Ivory Towers. That is never good, and this way it cannot work. It is a waste of otherwise great talent and skills, which could be used for something much greater. Be open, positive, and search for similarly minded people, then you can start something great. Has it been a challenge staying on top of your mods with all the patches? I have to ask this even though you are always one of the first to have yours ready for the player. Oh yes, that is always a nightmare! Watching how all it goes down like a house of cards, and then requires massive updates again. But it is no secret that I have early access to some of the patches, testing them before they are publicly released, and this helps very much. You know when hundreds of thousands subscribers are waiting for updated version it creates some kind of pressure even on our usually calm minds. But before we release something, our internal testing is very detailed and deep. We test every small detail so that everything fits and is working as it should. Our updates must be 100% operational, and we take quality and stability very seriously. Modders have everything they need to create great stuff. Constant complaining about missing this or that should stop. Yes there could be more tools for campaign mapping etc, but the current ones offer so much and I did not see anyone who would actually used them fully. Learn to operate with the stuff you got, show what you can do with it, then we can talk about more! There are not many developers who would provide so much for free for the community, and a little gratitude won't harm anyone even if its not popular in today's world. These things are expensive as hell. Some people fail to realize that this is still business, and a damn expensive one! Where does Radious modding march next? Forward! 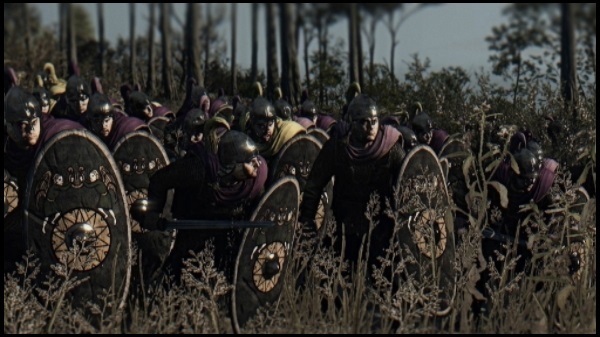 The stuff released is fully supported, plans for Attila and Rome 2 are set. And about future titles.... cant talk about this yet sorry. From a commercial perspective, I think its an excellent move. My heart is dedicated to more historical TW games, but I think people have much to look forward in Warhammer. I think it will be dream come true for many fans. Just wait till you see more! Do you have any shouts out for those that helped with Radious Total War? To everyone who was involved or still is in smaller or bigger scale, I want to say one thing - Thank you! You are part of most successful mods in the last 3 TW games. It is really a pleasure to work with you, and we would never have achieved what we did without you! I value the friendships I have made in the past years very much, actually more than everything. And i will continue to annoy you with more stuff to do for sure, we have much to do! Well that was more then 1 thing i suppose. Radious, thank you so much for your willingness to be interviewed! Your mods are an enjoyment and improvement from the vanilla for certain. I know others are enjoying because of their statements of, “Is it Radious compatible?” and the like. So, think you sir for making our Total War world so much brighter! Thank you very much. It was my pleasure and I am glad I could find time for this. Have a great day and to all our fans out there - thank you for playing and having fun with our work. We are happy to have pleased customers! Remember, you can find Radious Total War latest mods on Steam Workshop for Total War: Attila or on TWC here! In couple month mate, the Warhammer will be release, hope to see Radious mod back in Warhammer. We already know its still using the same db structure with couple adjustment and change, anyways the modder who mod Attila either creating new units, CAI , BAI, should not catch to much problem adjusting with new change. Great interview. Being a dedicated modder is not an easy thing. It's great to see that the TW series is still creating modders and mods. Congratulations on the many downloads. It's a thrilling experience to know that hundreds of thousands of players are enjoying something you've worked to create. Thanks for doing this interview and we hope you enjoy this inside-view on Radious' visions and thoughts and our Radious Team. Thanks for all the nice comments here! That's very motivating for other modders, at least for me even if I'm at a much lower level compare to Radious . Indeed my friend We all owe much to all the dedicated modders that have made this place what it is. We are surely working to bring you all more interviews in the, hopefully, near future. Good interview! Thanks for participating, Radious. I've been enjoying your work in partnership with the Justinian era mod.